The building was experiencing widespread leakage at windows as well as extensive cracking in its EIFS cladding. The EIFS cladding was experiencing serious cracking, especially at sun-exposed locations. Widespread window leakage was causing extensive interior damage. To assure proper execution of corrective measures, the PL:BECS project manual included detailed, step-by-step installation drawings. 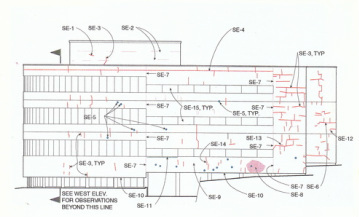 The PL:BECS evaluation documented and mapped extensive cracking in the building’s EIFS cladding. Project Summary:	This Bremerton Headquarters building of Washington State’s largest private utility company had been experiencing extensive leakage since shortly after its construction in 1981. 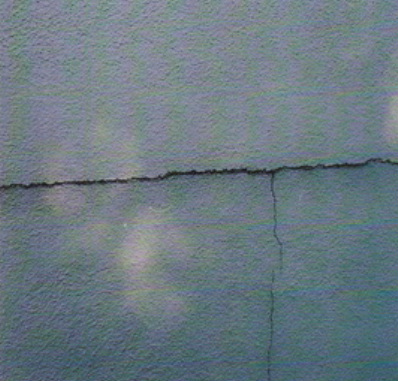 The leakage affected all above-grade portions of the building, as well as some sub-grade walls. In addition, the building’s Exterior Insulation and Finish System (EIFS) cladding experienced severe cracking. Exterior envelope systems include sub-grade shot-crete walls and concrete floor slabs, pre-cast concrete, metal, and stucco wall claddings, reinforced hot-rubber waterproofing, and roofs of low-slope membrane types as well as sloped standing seam metal systems. The first consisted of an overall evaluation of the building’s exterior systems, including store-front and curtain-wall windows, roof, EIFS cladding, glass-block masonry, and sub-grade concrete walls. 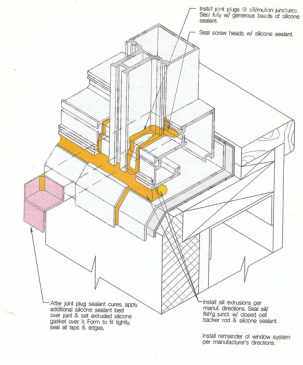 This evaluation revealed problems with all of the building’s exterior enclosure elements. The PL:BECS report provided detailed corrective recommendations and cost estimates for various options. In the project’s second phase, PL:BECS prepared detailed construction drawings and specifications outlining the corrective work, as well as identifying appropriate general and specialty contractors.